I have another wonderful stamping plate to show you from MoYou Nails. This is plate 106 which has 6 french tip designs around the edge of the plate and musical notes in the middle. I used the musicals notes and 3 of the french tip designs using MoYou stamping polishes. The image plate 106 is currently £4.49 and the stamping polish is £4.99 each or 3 for £10 or 5 for £15. The stamping polishes come in a 12ml bottle and I had no problem using the plate or the polishes, all worked first time. Check out my video below for a demonstration. I can't wait for my Moyou plates to get here!!!!! Hi, what is the name of the blue polish you're wearing here with the musical notes stamped over? It's beautiful. Hi Claire, the blue polish was from Born Pretty Store, sadly they no longer sell the Sweet Color range that it came from - boo! 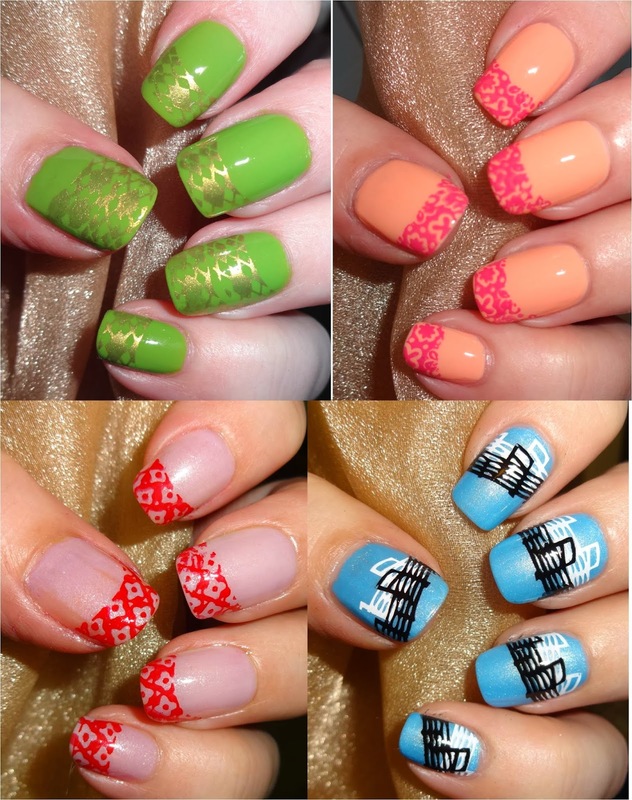 What is the name of the blue polish you're wearing here with the musical notes stamped over it? It's beautiful. I love how you've used the French tips in your own way, looks fab!